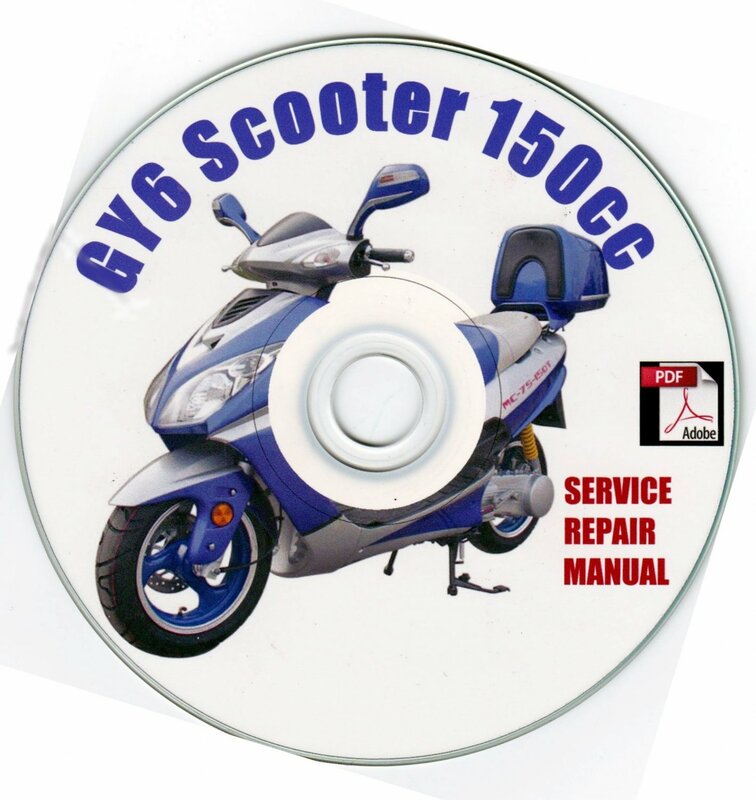 Scooter 150cc GY6 (QMB139) Service/Repair shop Manual on CD. A MUST HAVE for Every 150cc GY6 Scooter Owner that Wants to Save Money on Repairs! PLEASE CHECK THE BOTTOM OF THIS PAGE ABOUT ALL THE FREEBIE's INCLUDED ON THIS CD! Chinese GY6 scooters come under a vast variety of brand names... such as : Future Champion, Roketa, Peace Sports, Madami, VIP, Strada, JM STAR, Kasea, SUNL, Tank, Vento, Yamati Xingyue, Flyscooters, Hitong, PGO, e-GO Motors, TriPOD, Sukida, Lifan, mojito, Skygo, Baotian, Zhongyu, Kinroad, Jianshe, Jialing, Jinlun, Xinghue, Skyjet Baotian, Bashan, Benzhou, Chituma, CPI, CTM, Dafier, Dayang, FYM, Generic, Giantco, Guoben, Haizhimeng, Hanglong, Haotian, Honglei, Huatian, Huoniao, Jialing, Jianshe, Jinan, Jincheng, Jinlun, Jonway, Kaisar, Kangchao, Keeway, Kinlon, Kinroad, Lifan, Lingben, Loncin, Longjia, Qingqi, Sanben, Sanli, Sanya, Shineray, Sukida, SYM, Taishan, Wangye, Wuyang, Xingyu, Xinling, Xiongtai, Yamasaki, Yiben, Yiying, Yuan, Znen, Zennco, Zhenhua, Zing, Zongshen & many many others. *OVER 1675+ PAGES with the BONUS MATERIAL! Adobe [PDF] Readers are free & available to download from the web, in most cases a [pdf] reader is already installed in your computer. *NO SHIPPING to APO/Fpo or other military destinations. * We are NOT responsible for USPS delays. * BEFORE you leave us feedback.... If there's any issues with your order, please contact the seller & we will be more than glad to fix any/all issues & make 100% satisfied.